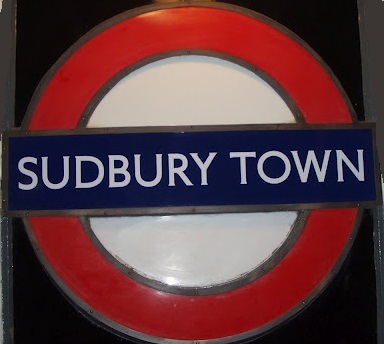 Sudbury Town was recorded as Suthbury in 1282 and the name is derived from south and Old English burh, ' manor' - and means 'the south manor', for it lies to the south-east of Harrow. The Town was built up during the later part of the 19th century. The station was opened as SUDBURY TOWN on 28 June 1903.